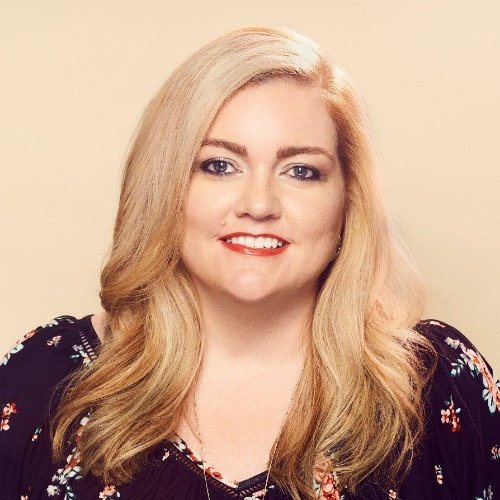 With ALL YOUR PERFECTS Colleen Hoover explores a marriage in crisis. The story is intimate and raw, about a couple who struggles when life takes them down an unexpected path. I’m so excited to share my interview with Colleen, where we delve deeper into the novel. Vilma: How did the idea for All Your Perfects spark? Colleen: I had just come off of writing Without Merit, which is very YA. The protagonist is only 17, so I wanted to write about adults for my next book. I decided to write about a married couple because I had never tackled that subject before. When I was outlining the book, I stole an idea that my sister had incorporated into her marriage that plays a huge role in Graham and Quinn’s story. I don’t want to give away anything, so I’ll leave it at that. Vilma: I remember telling you how different this book felt to me after I first read it — how wonderful it was, of course, because I loved it so much … but it felt intimate and raw in a way that differed from your other novels. It’s also the first time you explore the complexities of a troubled marriage. Did it feel different for you while you were writing it? Was it odd sort of beginning after what would usually be the HEA? Colleen: Writing the NOW chapters (the book is told in THEN and NOW time frames) definitely felt different. Most of my books usually end when the HEA happens, so we don’t follow the couple to see how they tackle the everyday challenges of a relationship. Because of the state of Graham and Quinn’s marriage, the book definitely had a heavier, darker feel than the interactions I normally write between couples. I think the THEN chapters helped balance out that darkness, though, to give readers those falling-in-love feels. Vilma: One of the most poignant aspects of Quinn and Graham’s story is that they love each other deeply, and yet, their marriage is at the brink of shattering. In their case, there’s a very specific reason for their divide, but I think this is a really resonating, powerful point. A marriage can be tested, can fall apart for reasons big and small, despite the couple still loving each other. Was this a point you set out to make, or what did you hope to explore? Colleen: I never start a book with a specific goal in mind. I wasn’t even sure what struggles these two would face until I sat down to outline their relationship. I like to let the story develop as I write. It feels like I’m watching a movie sometimes, as though the characters are in control and I have no say as to what’s going to happen or what they’re going to do. I’m just the middleman who puts their story into words. I know that’s odd, considering I make it all up, but sometimes it doesn’t feel that way. With Quinn and Graham, I felt like a spectator observing this crumbling marriage, and I was drawn to how much they loved each other, despite the external factors that were putting strains on that love. Vilma: Give us some insight into Quinn and Graham. Could you tell us a little bit about each person? Colleen: When I was developing their characters, I tried to make them realistic. As fun as it would have been to make Graham a billionaire bachelor, I knew something outrageous would disconnect us from the issues between the two couples. Instead, I made him an accountant with a normal upbringing and a good childhood. With Quinn, I wanted her to be drawn to him because of his personality and the goodness in him. Not because he was rich or had the perfect looks. Quinn and Graham are your normal, everyday couple. I wanted readers to be able to relate to them personally, so the subject matter and the troubles in their marriage would also feel more relatable. Vilma: What was your writing process for All Your Perfects? Was it a difficult story to write? Or did it flow easier than others? Colleen: Honestly, the first draft was one of the easiest I’ve written so far. The hard part came during the revisions. I wrote at least five different final chapters. I also moved chapters around so much, I’d have to go in and rewrite portions of the story. Normally, my rough drafts are very similar to the final product, but with this one, the rough draft is very, very different from the final product. I’m much happier with the final product, obviously. It just took a while to get there. Vilma: I know you are always coming up with ideas for books, whether they are for your next project or for a later date. Do you have your next story yet? Anything you can share? Vilma: Any kickass books you’ve read lately? Or books that are coming soon you’re excited to read? Colleen: I’m really looking forward to Samantha Young’s new novel, The Fragile Ordinary. I love her writing. Also, Emily Giffin’s new book releases soon, and I’ve got it on preorder. Vilma: Anything else you want to share with us? Colleen: I want to talk about this book so badly, but I don’t want to ruin it for anyone. If readers want to know behind-the-scenes stories or even a huge secret from the book, they should join the All YourPerfects discussion group on Facebook. But not until you finish reading the book! Vilma: Thanks, as always, Colleen. I can’t wait for everyone to read this book. It’s so beautifully written — unflinchingly raw and honest. Everyone will be feeling Quinn and Graham’s story deeply!